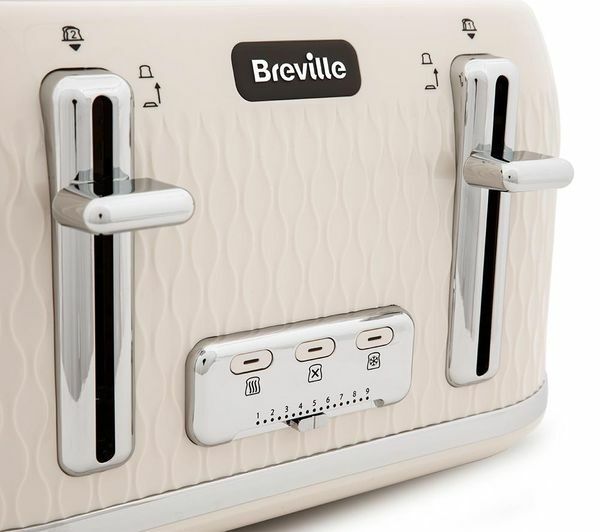 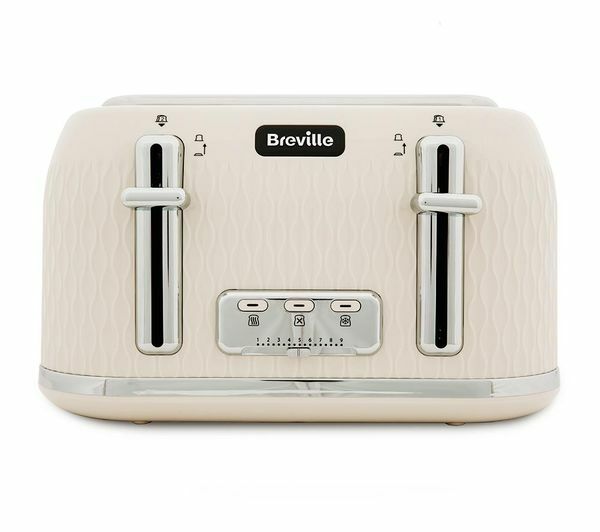 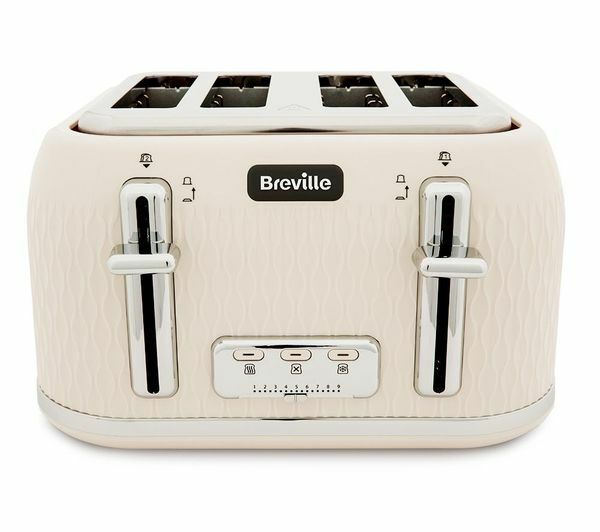 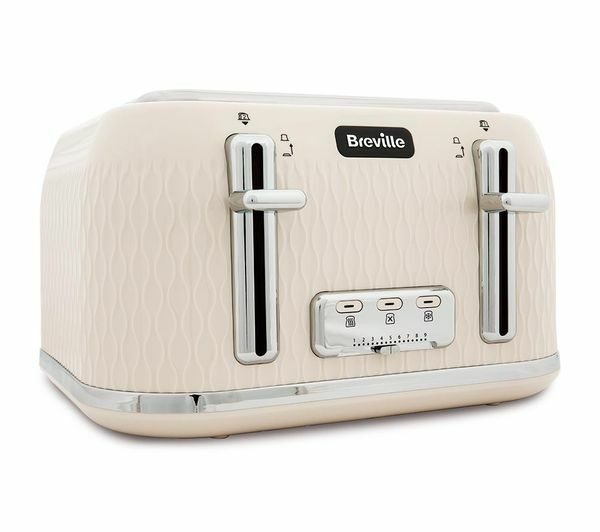 Eye-catching on any kitchen countertop, the Breville Curve VTT788 4-Slice Toaster is both stylish and functional. 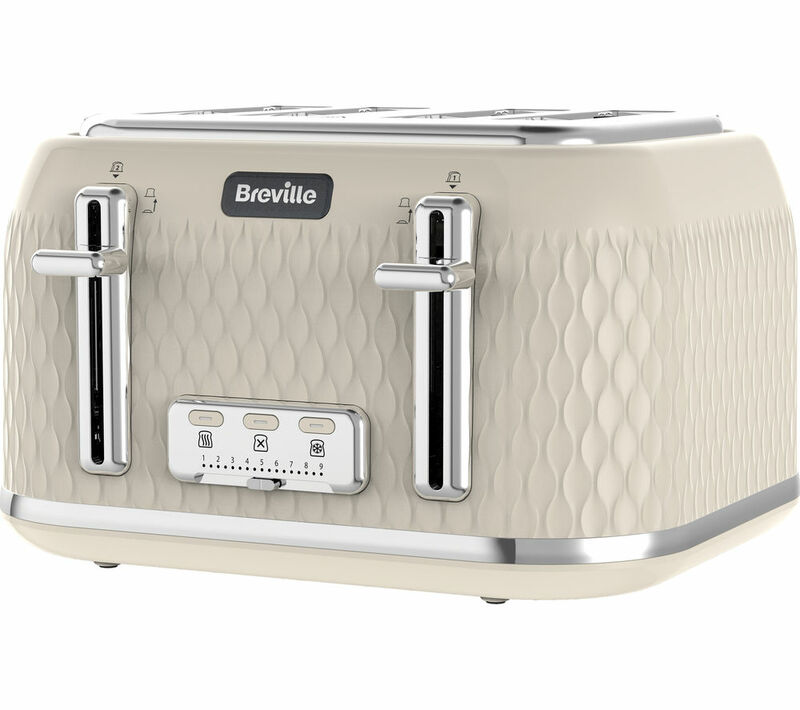 It has a unique curved texture design with high gloss finish and chrome accents for a premium look. 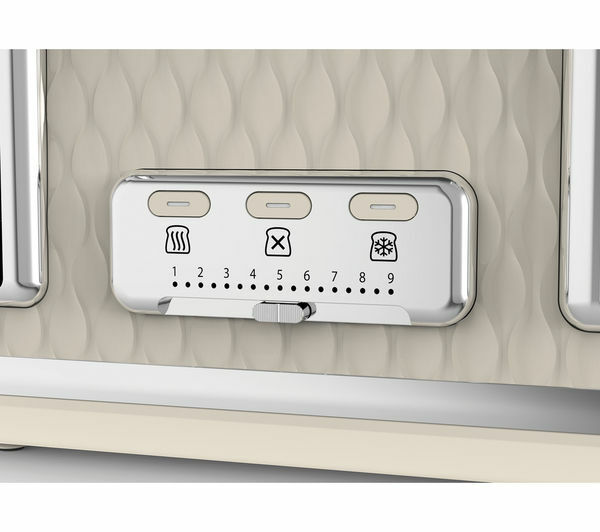 Illuminated buttons for defrost, reheat, and cancel functions clearly highlight the controls for quick and easy use. 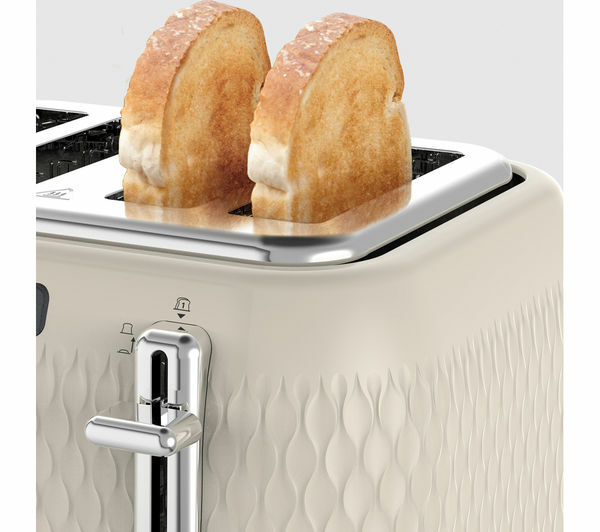 Easily remove smaller slices of toast, such as crumpets and bagels, thanks to the convenient high-lift facility. 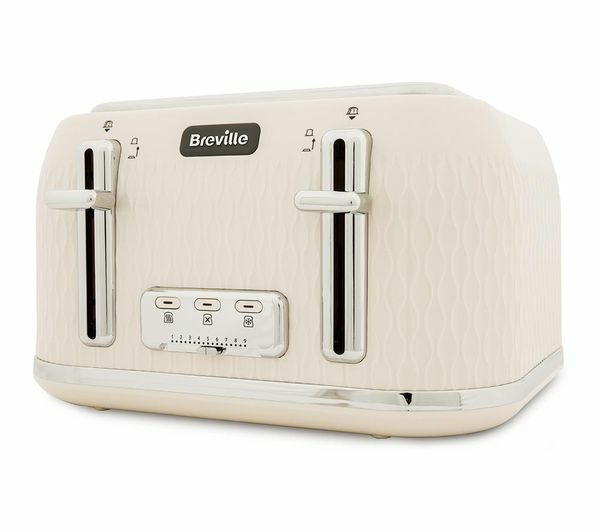 The VTT788 features a removable crumb tray that makes cleaning easy. 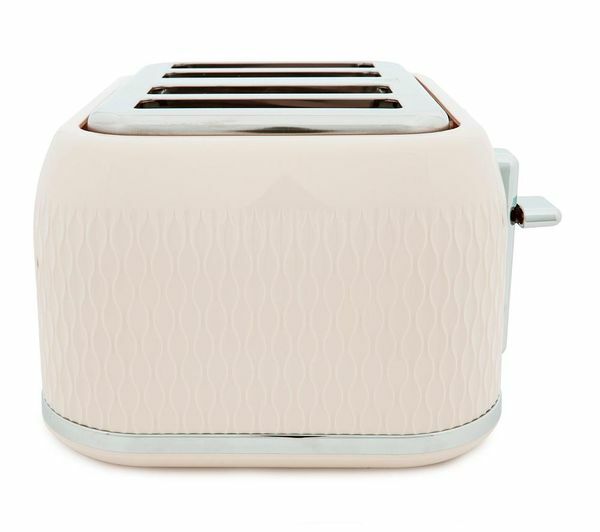 Complete the look with the matching Curve VKT019 Kettle (sold separately).